Take a little bit of Hawaii with you when you use this TSA approved combination lock. 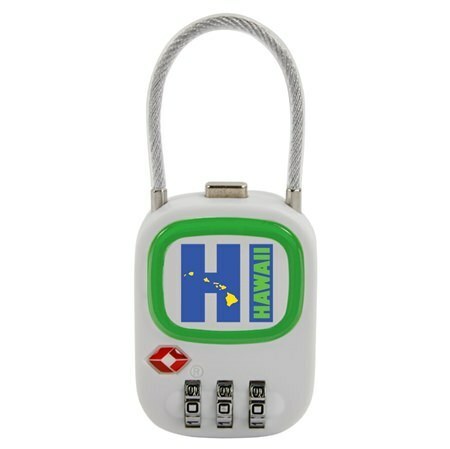 The Hawaii logo sits right in the middle and is a good option as a gift or souvenir. 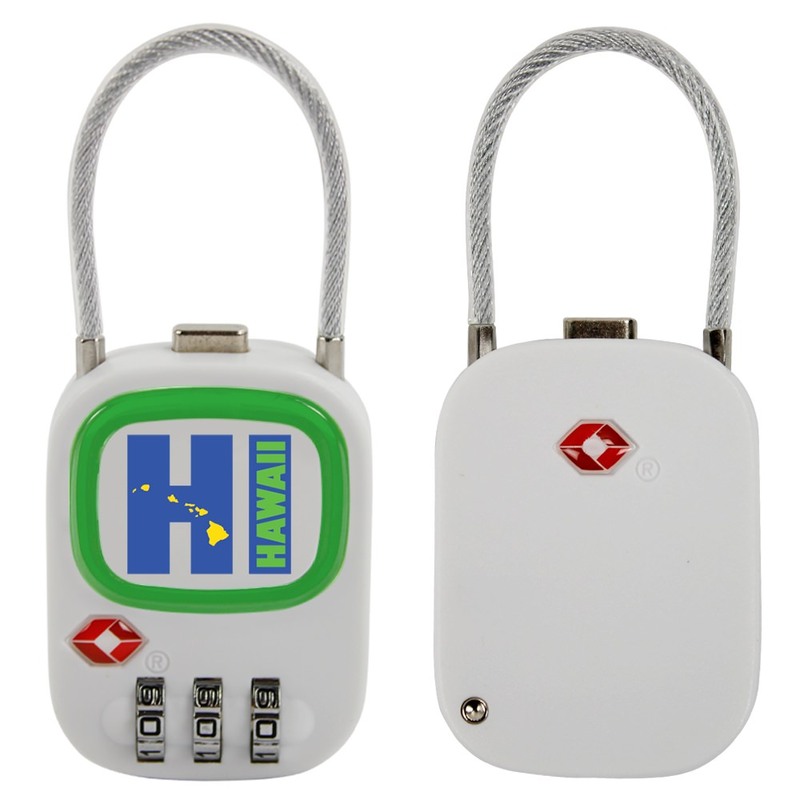 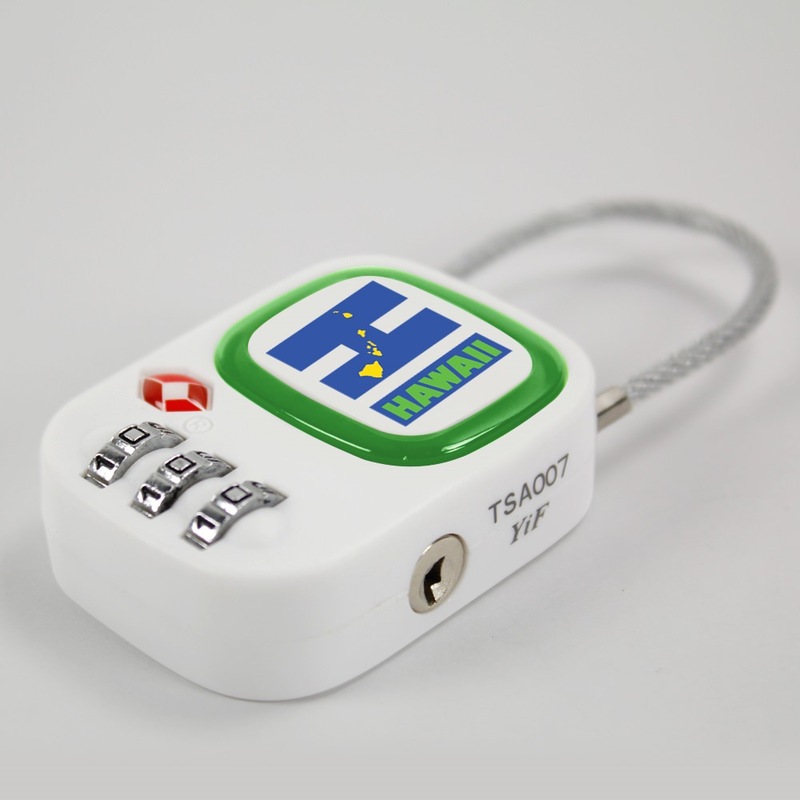 This lock features a three digit combination lock with easy change button on the back. 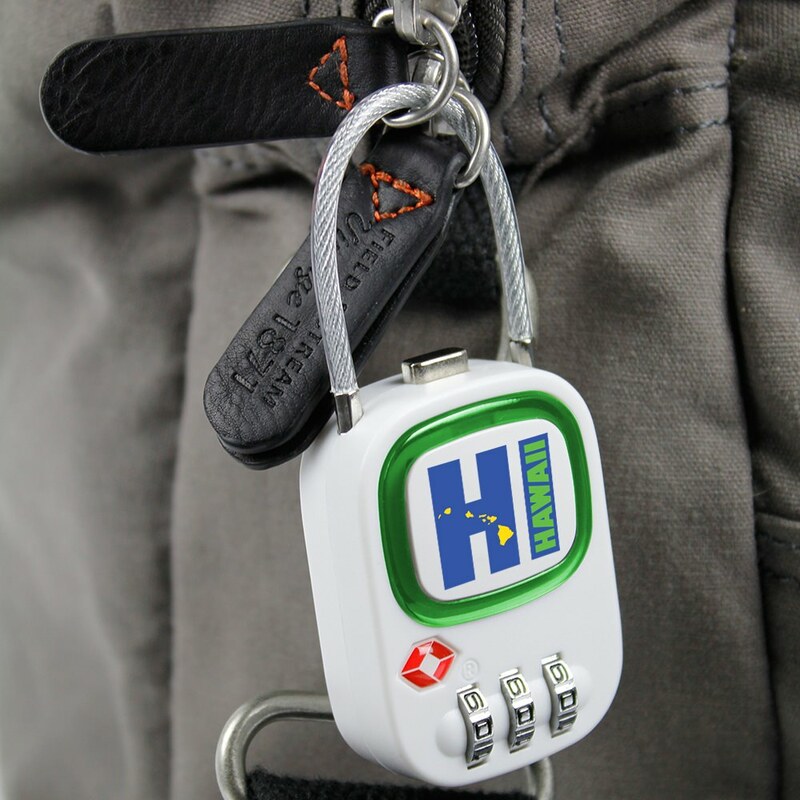 It utilizes a cable shackle to prevent cutting and is TSA accepted so you won’t have problems in the security line.